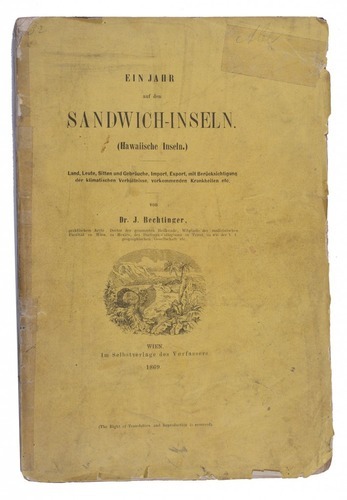 Ein Jahr auf den Sandwich-Inseln. (Hawaiische Inseln.) … Memoiren. - Band I. [all published]. Vienna, for the author (colophon: printed by W. Jacobi), 1869. 8vo. 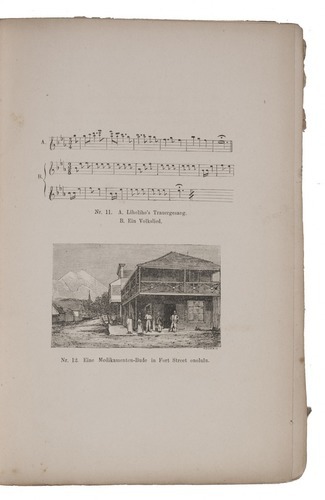 With wood-engraved frontispiece, 7 illustration plates (showing 14 numbered wood-engravings with letterpress captions), 3 woodcuts in the text, and a tinted lithographic folding map. Original publisher's yellow printed-paper wrappers with wood-engraved vignette. First and only edition of a report about a visit to the Hawaiian Islands in 1868 by the German physician Joseph Bechtinger. ''Dr. Bechtinger arrived at Hawaii from San Francisco in the fall of 1868. 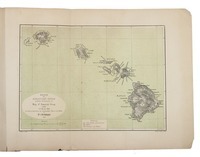 In October 1868 he was on the island of Hawaii, where he visited the volcano. At a later date he made an excursion to Haleakala on Maui. Much of the text concerns medical matters, particularly the doctor's interest in lepers on Molokai. 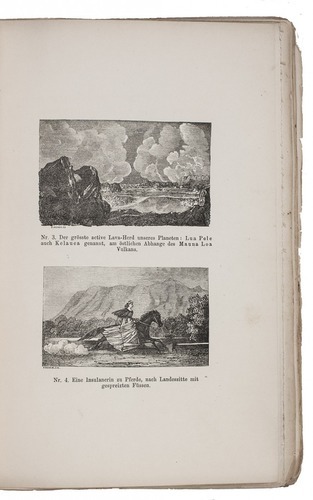 A woodcut vignette on page 45 is a fine view of Kaneohe from the Nuuanu Pali. 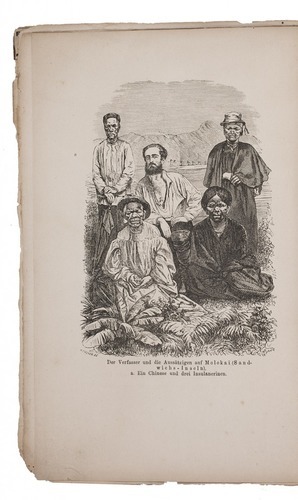 The frontispiece (which may also include the author's himself) and three of the images on the plates depict Hawaiians afflicted with leprosy. 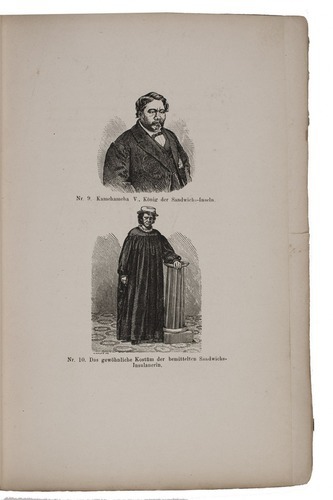 A portrait of Kamehameha V is on the plate inserted at page 144'' (Forbes). The views of Honolulu include one of the beach where Cook was murdered. With the edges somewhat tattered, not approaching the text, but otherwise in good condition. Wrappers soiled and damaged, and spine repaired with tape.